Montgomery County Executive Ike Leggett today announced the County’s largest solar initiative ever at an event in Chevy Chase. The solar initiative with SolarCity encompasses 14 individual projects and will produce approximately 6 million kilowatt-hours each year – enough to power nearly 600 average size homes. The County will realize significant savings from the move to clean solar, with combined project savings expected to be approximately $11 million dollars over the next 20 years. Today’s announcement highlighted the first phase of the initiative, led by the Department of General Services (DGS), at the Jane Lawton Community Recreation Center in Chevy Chase. The first phase of the project, competitively awarded to SolarCity, will include the installation of solar panels on libraries, recreation centers, correctional facilities, Department of Environmental Protection Solid Waste Services’ sites and other County buildings, grounds and parking lots. To expand the amount of clean energy installed in Montgomery County and the State of Maryland, the County government will host more than five and a half megawatts (MW) of solar on County buildings and facilities. The systems will reduce greenhouse gas emissions by 4,200 metric tons annually, the equivalent of taking 870 cars off the road or planting 100,000 trees. Additional projects are currently being identified. DGS will work with departments to create programming to educate future green technology professionals about the benefits of renewable energy. The Jane Lawton Community Recreation Center Project is one of the County’s first photovoltaic projects. The system is 40 kilowatts (kW) in capacity and will generate over 50,000 kilowatt-hours (kWh’s) a year. “In this initiative, the County is taking the lead in renewable energy. We’re showing the promise of solar power in our community and saving taxpayers money while doing it. And we aren’t stopping here. We have launched our Commercial PACE program and are developing the first local Green Bank in the nation, both of which will provide more low-cost financing options to individuals and businesses looking to improve the efficiency of their buildings and make the transition to solar. We are making great strides for both our environment and our green economy, and we are proud to have a leader in that sector, SolarCity, as a strong partner in this endeavor,” said Councilmember Roger Berliner, chair of the Council’s Transportation, Infrastructure, Energy and Environment Committee. Under the agreement with the County, SolarCity will design, finance, own and operate the projects hosted on County facilities. The County has agreed to purchase the power for 20 years. On average, the County will pay less than half of what it would ordinarily pay for electricity at a fixed price for the life of the contract. 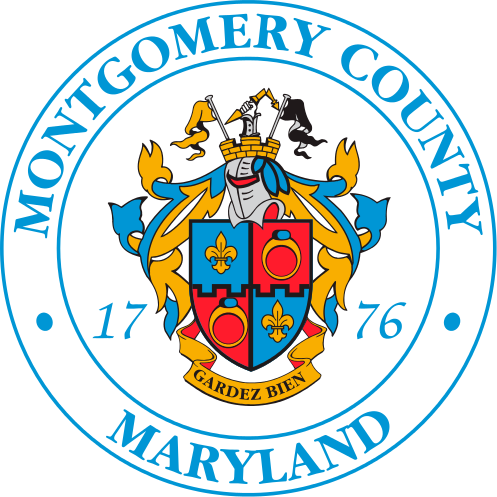 “Montgomery County Recreation is delighted to have its facility, the Jane Lawton Community Recreation Center, designated as the site for the first phase of the County’s photovoltaic project installation,” said Montgomery County Recreation Director Gabe Albornoz. SolarCity recently expanded its Maryland presence with a new 11,000 square foot operations center in Clarksburg – its fourth location in the state. This latest expansion pushes SolarCity’s total Maryland staffing to more than 700 people. The County is also evaluating other sources of clean and local generation for its portfolio, including microturbines, small efficient generators that produce heat and electricity efficiently. Several facilities are also being evaluated for their potential as microgrids. Microgrids combine solar and other sources of generation with efficiency and advanced controls to ensure uninterrupted power delivery to critical facilities. To track the progress of the County’s latest solar and advanced energy initiative, visit the interactive map on the Office of Energy and Sustainability’s website. www.montgomerycountymd.gov/dgs-oes. For more information about this project, or the County’s other green initiatives, contact Eric Coffman at 240-777-5595.